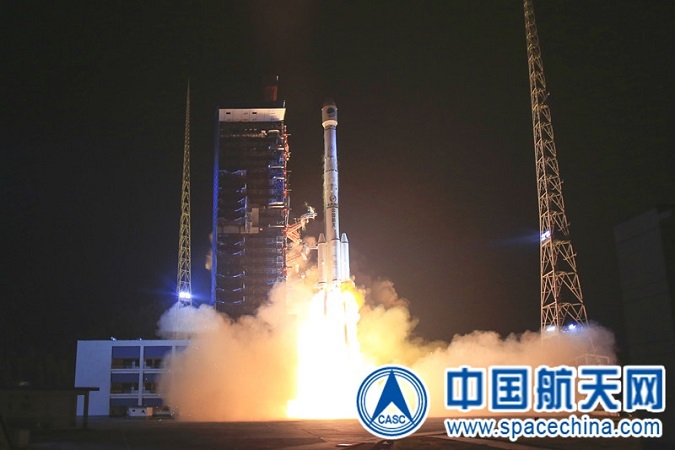 Early this morning, at 2:07 a.m. Beijing time (GMT+8), China launched the final two BeiDou-3M satellites needed to provide basic Global Navigation Satellite System (GNSS) services on a global scale. The launch took place on a Long March-3B rocket from Xichang Satellite Launch Center in Sichuan Province, as with all of China’s BeiDou-3M satellites. Three hours later, the Chinese space programme’s main contractor, China Aerospace Science and Technology Corporation (CASC), announced that the two satellites had successfully been placed in a Medium Earth Orbit (MEO). These two BeiDou-3M satellites are a twin pair, like all the other satellites of the MEO series. They represent the 18th and 19th satellites of the 3M system, and the 42nd and 43rd satellites launched for the overall BeiDou Navigation Satellite System (BDS). Besides making the constellation operationally-ready, the launch today has also fulfilled China’s BeiDou launch target for 2018. Currently, the BeiDou system comprises two families of operational navigation satellites; BeiDou-2, also known as Compass, presently consists of 15 operational satellites in Geostationary Orbit (GEO), Geosynchronous Orbit (GSO), Inclined Geosynchronous Orbit (IGSO), and Medium Earth Orbit (MEO). The new BeiDou-3 series, on the other hand, only has operational MEO satellites at the moment, although China is testing the first BeiDou-3 GEO satellite (BeiDou-3G1) and plans to launch at least four GEO and GSO satellites in 2019. With the launch today, China says it will be able to provide global GNSS coverage by the end of the year. BeiDou will start by offering basic services to Belt and Road countries, and will expand its offerings in time. At the moment, BeiDou is available within China and in the Asia-Pacific region.